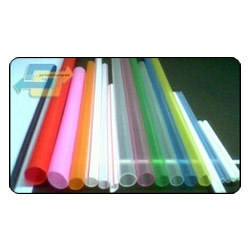 With wide expertise in this domain, we have come up with Polypropylene Tubes. Manufactured as par the international quality parameters, this range is available in various thickness, length and diameter. Post production, these pipes and tubes are checked by our quality controllers team on varied parameters to ensure their study construction and longer service life. Backed by sound experience of the industry, we have come up with quality Polypropylene Tubes. These products are manufactured using premium quality PP raw material, with the aim to meets FDA grade requirements and grades. Due to our excellent and sound manufacturing unit, we are capable of accepting bulk orders for the product and ensure their delivery within the stipulated time-frame. Looking for Polypropylene Tubes ?